What do you call it when you combine a chance to save money, win a prize, raise funds for research into celiac disease and gluten sensitivity, connect with the larger gluten-free community and discover great recipes? At Gluten-Free Living we call it our Celiac Awareness Month Campaign. We kick the campaign off today, and it runs through May 31, a full month of exciting social media events and community building with the goal of raising money for celiac disease research. If you subscribe to the print edition of Gluten-Free Living during the campaign, you’ll get an amazing rate of $20 for one year, a savings of more than 60 percent. (Canadian subscriptions are reduced to $35 and International to $40.) You can subscribe here. And we are contributing $5 from every subscription sold during the campaign to our partner, the Center for Celiac Research and Treatment at Mass General Hospital for Children. This contribution will help further the center’s important research into the cause and treatment of celiac disease and gluten sensitivity and perhaps one day, a cure. 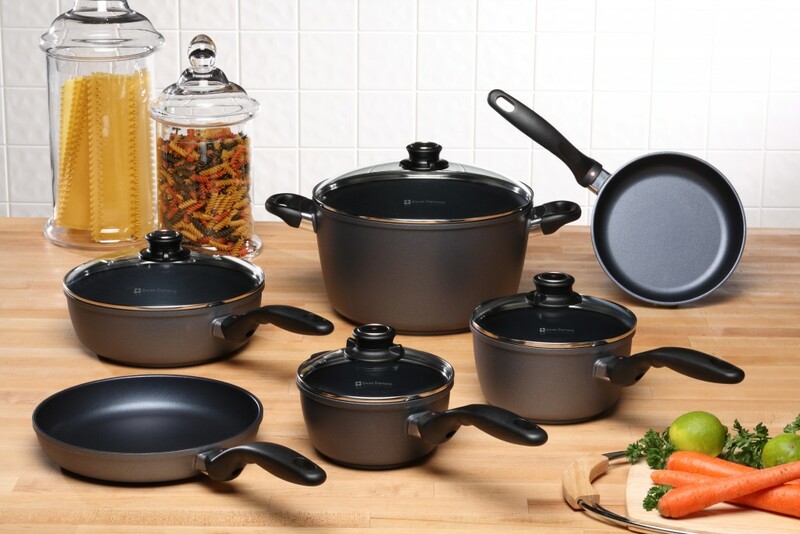 When you subscribe you are automatically entered to win a top-selling Swiss Diamond Ultimate Kitchen 10-piece cookware set with a bonus five-piece tool kit, which has a retail value of $654. Meanwhile, we’ll be a beehive of social media activity all month long. Here are the details. Facebook, Twitter, Instagram and our website. You can post your answers wherever you like: on our Facebook page, on your own Facebook page, on Twitter, on Instagram, on Tumblr, on your own personal blog, on our website in the comments section, wherever. Just be sure to use the #myGFLstory hashtag and our special Be Heard button, if possible. We’ll be using the hashtag to find and share your stories. Every Thursday, check back on our blog to see our favorite #myGFLstory answers. Get creative – the more original your answer or response, the more likely we’ll be to share your story! Every Tuesday and Wednesday, we will be hosting guest posts from gluten-free bloggers from around the web. They’ll bring their unique style and perspective to our site. Every Friday, we’ll be holding a virtual potluck on our blog by sharing a number of gluten-free recipes from around the web. We’ve invited some of our favorite recipe bloggers to help prove that Gluten free is NOT Flavor free. If it looks like we’re keeping you busy with gluten-free activity every day, that’s the plan. Throughout the month that’s officially designated to raise the profile of celiac disease, we want you to take an active role in raising awareness. The more we talk about ways to improve the gluten-free lifestyle and the more money we raise to investigate the serious medical conditions that require a gluten-free diet, the more successful the Celiac Awareness Month Campaign will be. (No purchase necessary to enter the contest).